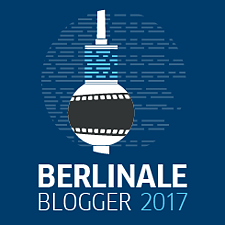 Berlinale-Blogger 2017 But there’s no dancing! In “My Entire High School Sinking into the Sea” and “Emo the Musical” there’s no dancing, but the two crazy films offer some comic moments. ​This is perhaps the right attitude at the end of this Berlinale, which has once again proven itself to be highly problem-focused. While the split in American society has been a major theme at this Berlinale, it has always been an issue in American high school comedies. The high school’s rigid hierarchies and class wars also feature in My Entire High School Sinking into the Sea, Dash Shaw’s extremely original contribution to Generation, the children’s and young adult section. In the film, ambitious school newspaper editor Dash and his co-writer Assaf are initially at loggerheads but then find themselves battling for survival with and against everyone else following an earthquake. What is special about this film is that Dash Shaw (Love Eats Brains) is in real life a comic author, and his wild disaster scenario is entirely animated. The spidery psychedelic storyboards combine the kind of humour we associate with Wes Anderson with the childish world of Peanuts. The famous voices of Jason Schwartzman, Lena Dunham and Susan Sarandon (who plays the fierce Lunch Lady Lorrain) make this bit of smug indie fun perfect. There is no shortage of black humour in Emo the Musical either, a very amusing film about very unamusing people. Ethan, the only emo in his awful little world, is kicked out of high school for feigning a suicide attempt. At his new school he has to prove that he really means it: the emo school band Worst Day Ever won’t tolerate a fake! He plays his way into their jet-black hearts with songs like We’re all going to die, but his love for Trinity, a singer with a rival Christian band, threatens to torpedo his newly-won popularity. The Australian filmmaker Neil Triffett paints a completely topsy-turvy world in which the outsiders make the rules. Unfortunately, this does not help – on the contrary, disputes over rehearsal rooms and instruments spiral into bible burnings and forced baptisms. Ethan has to focus on the true emo ideals and reconcile everyone. He achieves this through sugary-ironic songs of every possible genre, but there’s no dancing – not even in a musical! This is perhaps the right attitude at the end of this Berlinale, which has once again proven itself to be highly problem-focused. Photo: © Private has been reporting as a free-lance film critic on the Berlinale since 2000, among other things for the Berliner Zeitung. 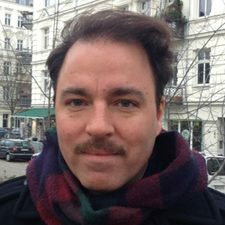 Having majored in history and English language and culture at university, he works for the German Federal Centre for Political Education and the film classics programme of the German Film Academy in the area of cinema education. He had also co-authored and edited a range of popular book series on cinema. Philipp Bühler blogs about the Berlinale for goethe.de.